Provide comfort for the family of Walter Vingo with a meaningful gesture of sympathy. 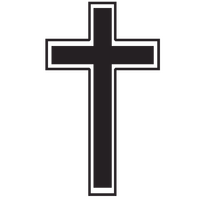 Walter David Vingo 84 of Morris, CT died January 28, 2019. Mr. Vingo was born in Norwalk, CT on August 4, 1934 to Michael A. Vingo and Loretta Bender Thompson Vingo. He is survived by two sisters, Constance and Marcelene Vingo. He was predeceased by a brother, Charles W. Vingo. 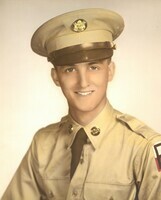 Walter served in the U.S. Army Signal Corps and Reserves. Mr. Vingo graduated from Norwalk High School 1952. He did further studies at J. M. Wright Technical School, and Norwalk State Technical College. Walter graduated with an AA degree from Norwalk Community College, and a BA from Sacred Heart University. He worked at Edwards Company and Norden Systems in Norwalk. There will be a Mass of Christian Burial at “Our Lady of Grace Church,” 715 Bantam Rd. (RTE 202) in Bantam, CT on Friday at 11:00 am. Burial will be in the Spring. In lieu of flowers, a donation may be given to “Our Lady of Grace Church,” P.O. Box 427, Bantam, CT 06750 or online at ourladyofgrace@optonline.net. Following Mass, everyone is invited to LaCupola Restaurant, 637 Bantam Rd., (RTE 202) for a reception. There are no calling hours. To send flowers in memory of Walter D. Vingo, please visit our Heartfelt Sympathies Store. Provide comfort for the family of Walter D. Vingo by sending flowers.